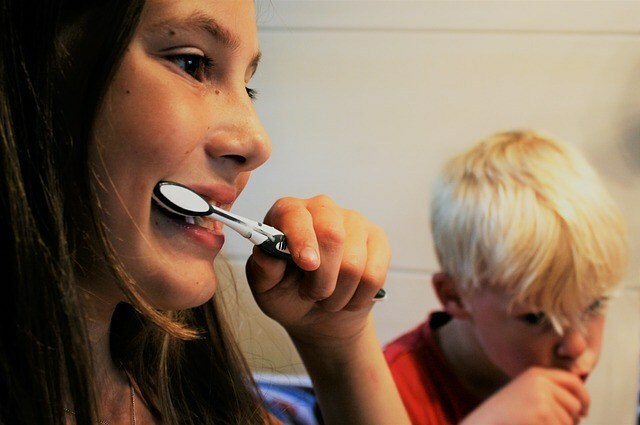 Healthy oral habits are as important for kids as for adults. As a parent, it’s your responsibility to teach your kids good things about oral care. Unless the little ones know the right oral care habits, you can’t expect them to take the health of their teeth and gums seriously. You can lead by example, show them how oral hygiene things are done and also the right methods of brushing, cleaning etc. All this matters a lot to your kids as they can be set on the right track to oral care. Your kids must know how much important brushing and flossing is for their dental health. You must teach them to brush twice, once in the morning and second before sleeping. You can teach them finer aspects of flossing so that they learn to do it on own as they grow a little more. Littles ones must be told to rinse their regularly to wash away the residue of foods and similar items they eat. Being a parent, it’s your duty to get across the message for oral care basics so that a food foundation is laid. Kids must be told that tongue and gums are equally important, and they need as much care as the teeth do. Naturally, they should know how much important is cleaning the tongue regularly to avoid germs and bacteria to enter the body. For gums, your advice should be to eat right and not let anything stick onto or around the gums for longer. You can tell them that healthy teeth are not possible unless tongue and gums are taken care of. This will do the trick and your kids can get the message easily. Every kid must to told about the risks of sugary items and sweet things. Since little ones can’t resist the temptations of chocolates, candies, cakes, and similar items, it’s better to let them know sooner rather than later about the dangers of such items. You can tell them how sugar can lead to cavities and how such foods can lead to tooth loss. Parents must prepare their kids to eat and drink well so that they can stay away from sugary and carbonated or fizzy drinks and maintain their dental health easily. Parents are supposed to build good oral habits in kids from an early age itself. By doing this, they can be sure that their little ones grow with knowledge and importance of oral care. The habits can be in regard to brushing, cleaning, rinsing, flossing, food choices etc. Take, for example, you can teach your kid to spend 2-3 minutes on brushing each session. You can also tell them the right way to floss so that nothing sticks between the teeth. The more your kids are taught early about oral care, the better they will become in future about caring their teeth and gums. Most kids don’t drink enough water, so they are always at risk for common oral problems like cavities, tooth decay etc. You should tell them how much water is essential for their dental health. You can encourage them to drink more water as and when they find the time. Similarly, you can take your kid to the dentist nearby on a regular basis and reduce their fear of the dentist completely. This will serve you well in future as then your little one will grow into a responsible adult with a good sense of oral hygiene things.